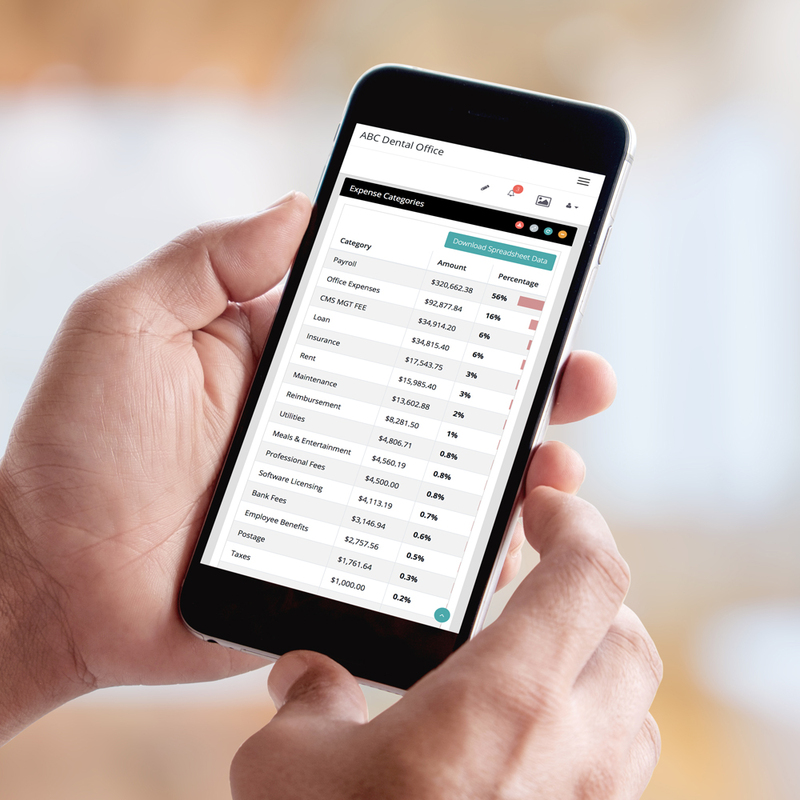 Complex financial reports at your fingers. Accounts Receivable allows you to closely track all production and incoming payments from patients. Monitor your invoicing and outgoing expenditures to vendors with Accounts Payable reports. Determine the short-term viability of your dental practice and the ability to pay upcoming bills with cash flow KPIs. Cash flow and revenue management is crucial for your office and Dental Practice Pro delivers you this information in real time. Knowledge of how your practice generates revenue awards you better understanding for your billable dental procedures. Dental Practice Pro highlights and organizes your completed procedure code data in an interactive reporting tool. Your primary financial reports, including cash flow and revenue statements, offer evidence of a healthy dental practice. Dental Practice Pro’s cloud based financial management software helps you pinpoint strategies to maximize profit growth. 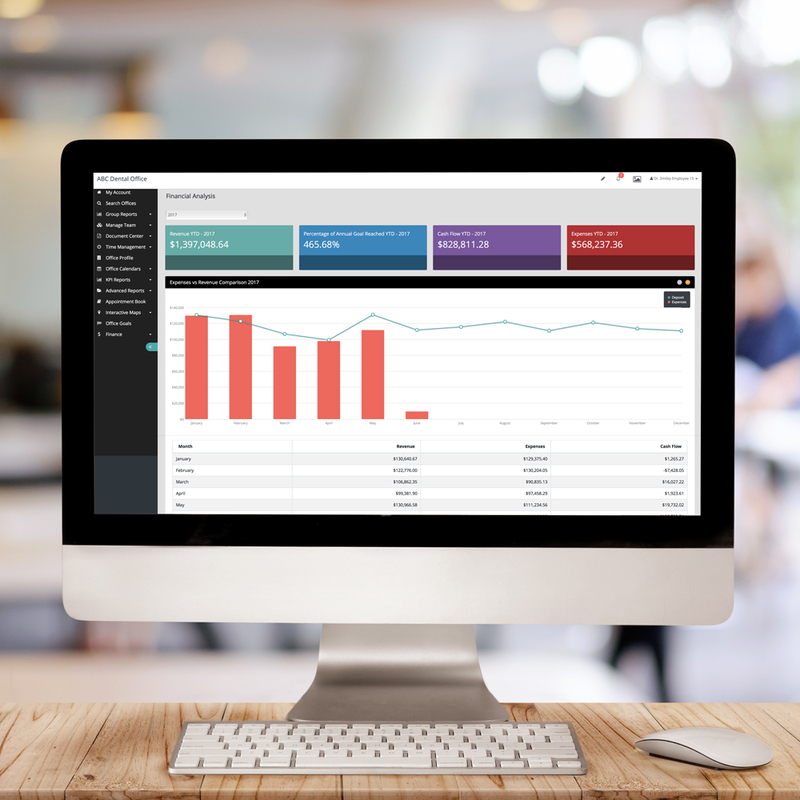 Dental Practice Pro online finance management software delivers robust reporting and budgeting features that provide a powerful tool for prospective financial analysis. Our simple, intuitive interface and ability to export data allows for seamless integration with Quickbooks and Excel. This transferable data feature makes implementation and utilization simple for dental businesses of all sizes and shapes. 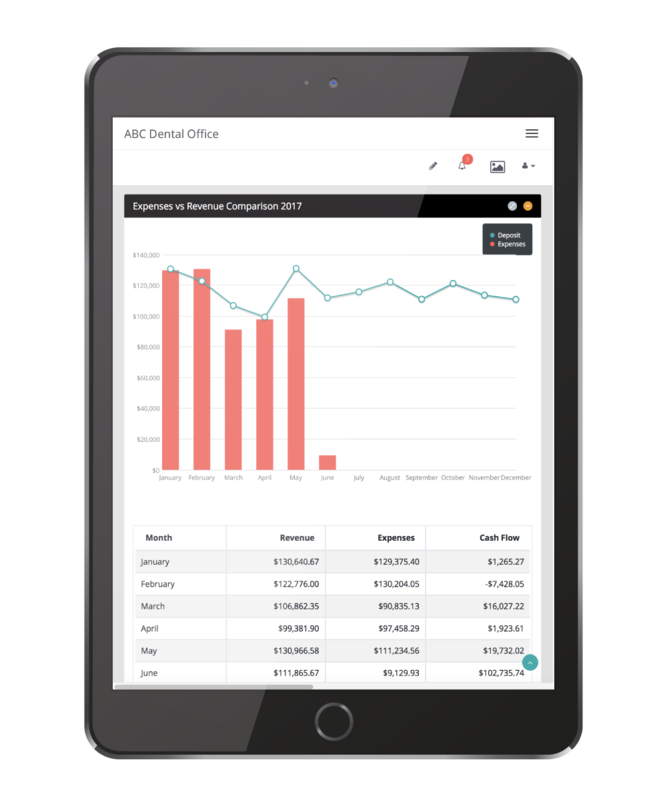 Reporting is made simple with online exportable dental practice financial data that shows cash flow, accounts receivable, accounts payable and previous year comparisons. Immediate Access to Cash-flow Analysis and Provider Production! 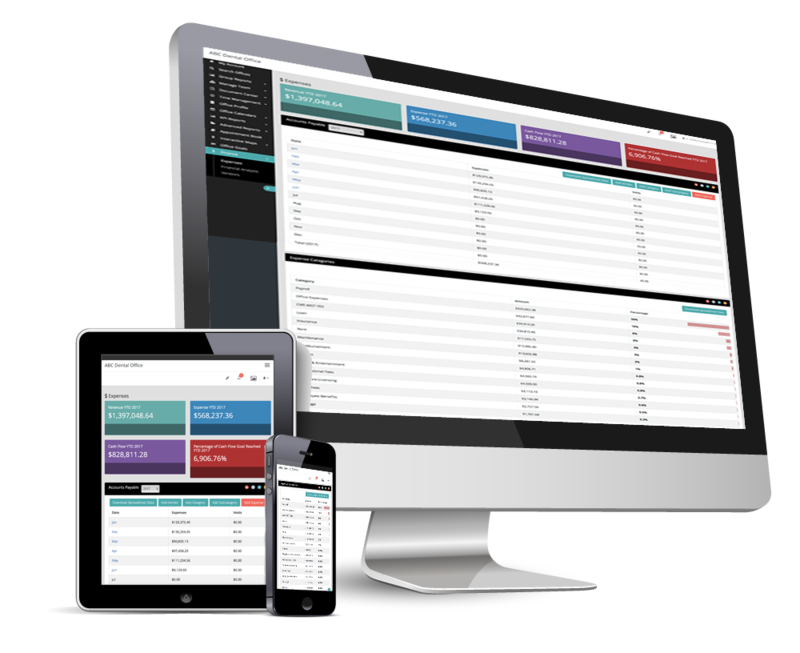 Have real time access to your cash flow and expenditures without the hassle of numerous spreadsheets and software programs. Dental Practice Pro® enables your practice to utilize one software platform to compare your practice expenses with your patient revenue to identify the health of your business. Dental Practice Pro has cloud based dental software features that allow you to set expense limits for individual vendors so you know when you’ve exceeded budgets. 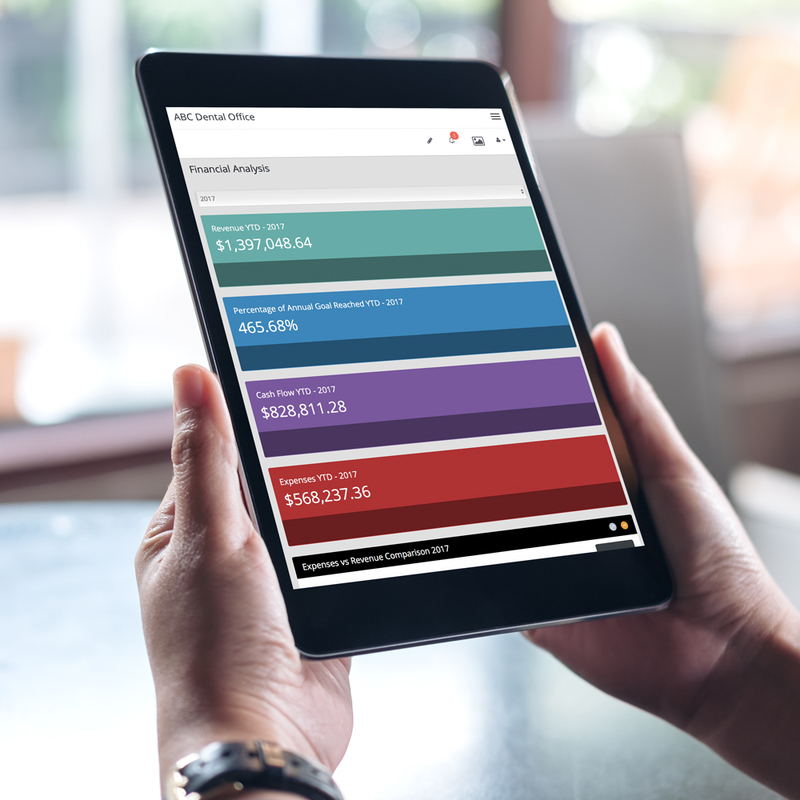 Provider and practice financial snapshots provide you with the ability to see where each dentist and hygienist is achieving their dental procedures revenue goals and new patient targets. Utilize our online dental procedure code analysis (CDT codes reporting) to identify dental procedures that drive your dental practice revenue. Identify dental services ones that have outstanding insurance balances and implement management protocols using our online dental software finance features.